Have you ever wondered how K-pop stars are always looking perfect in front of the camera? Flawless smooth skin, with enviable healthy glow. Oh hey! 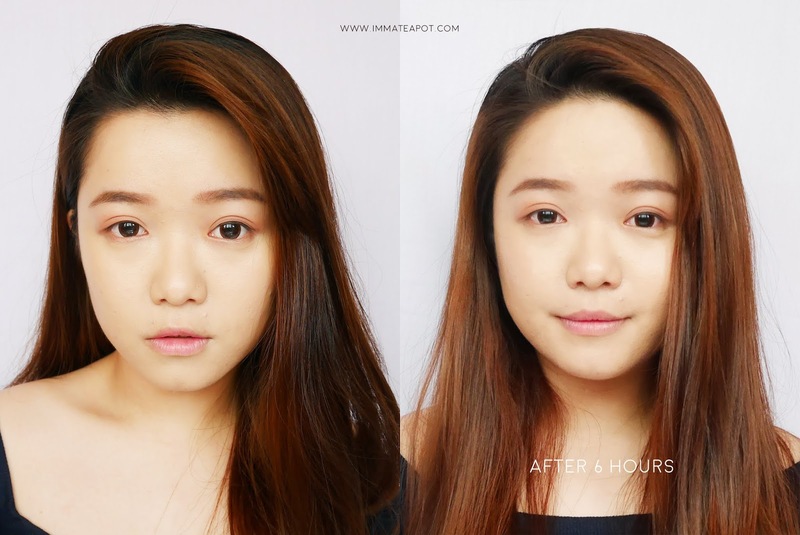 I found their secret weapon - THE FACE SHOP Ink Lasting Foundation and I am here to share with y'all! The Ink Lasting Foundation Slim Fit is actually a foundation designed to hide your skin imperfections, while enhancing the skin radiance, giving it a lightweight finish. It is just like your second skin, weightless and natural! Round-the-clock moisture - Biosaccharide Gum-1 provides instant and lasting moisture to our skin throughout the day. Light-fitting formula - Flat Cover Pigment provides skin-fit effect, giving our skin a feather light finish, with natural coverage. Air Pore Powder plays a big role in sebum control, preventing excessive shine and oil on the skin. 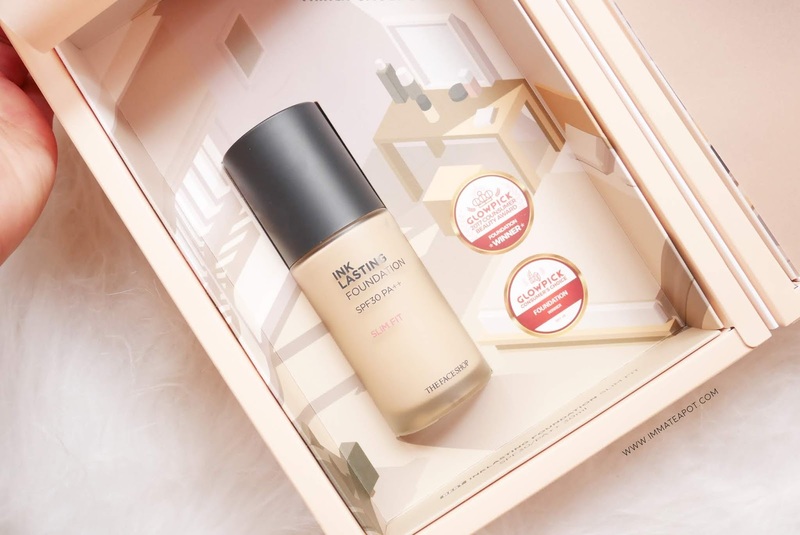 For convenience causes, the Ink Lasting Foundation range has come out with both bottle and compact form foundation, that is ideal for you to carry around. 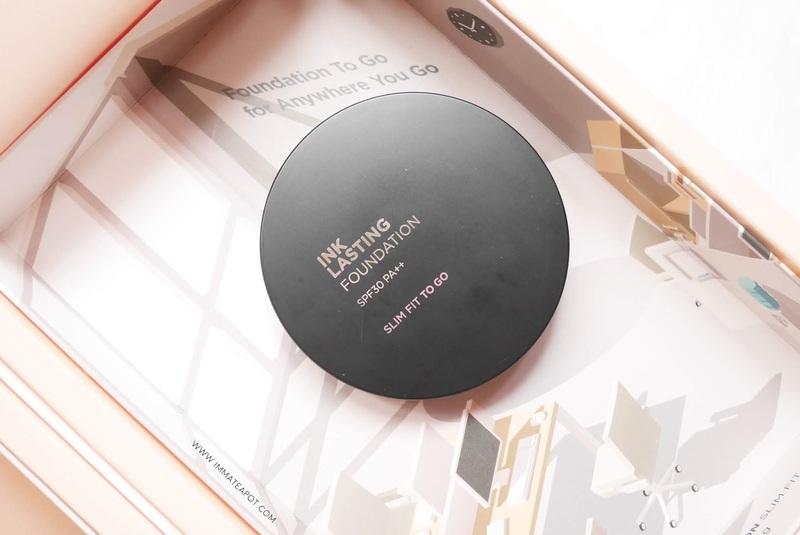 The award winning foundation, scoring 4.8/5 from the Korean beauty specialists - Ink Lasting Foundation Slim Fit. 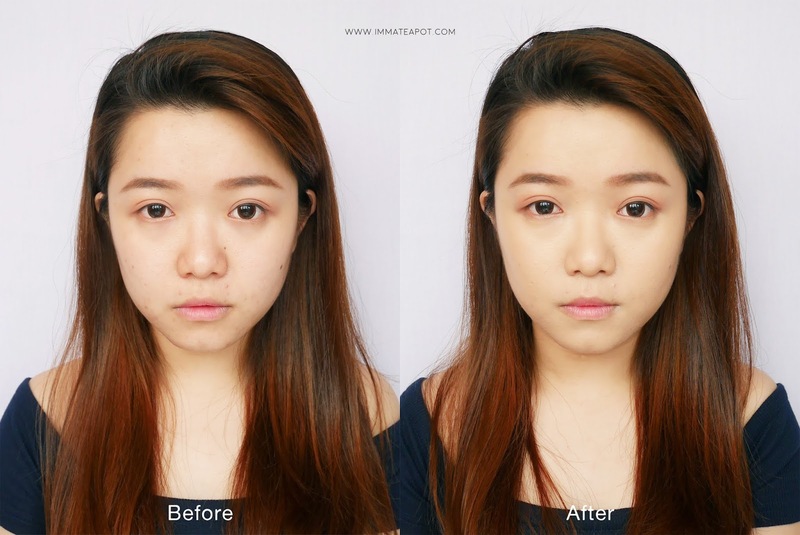 The texture is pretty thick, I found it takes quite a long time to blend evenly on the skin. Hence, a few drops are good enough for the whole face. 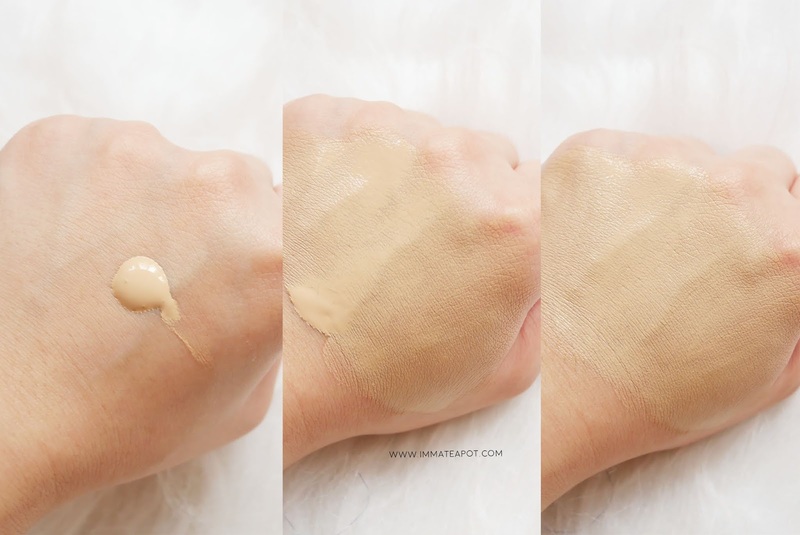 After blending out, it is obvious to see that the overall texture is in a high definition finish, with moisture and shine that helps enhancing skin dimension. Moreover, it comes in a light floral scent, something like the usual scent of bb cushion. This is a picture before and after the foundation application. I bet all of you see the significant difference. 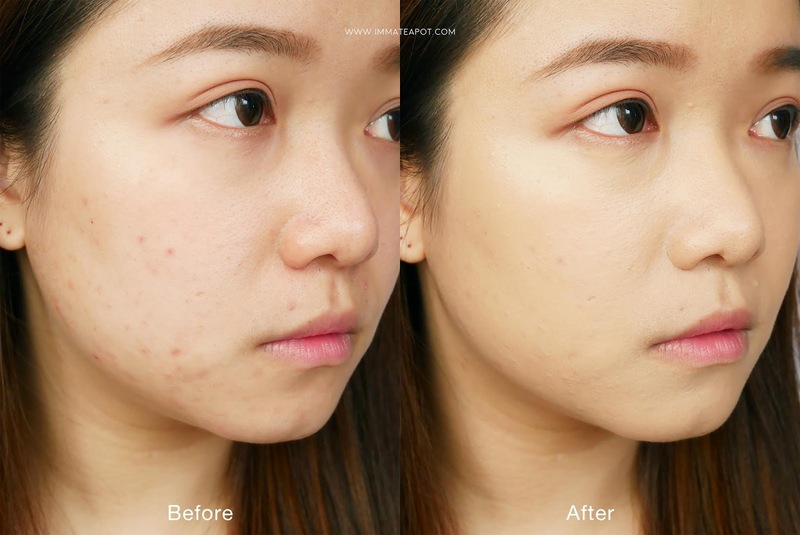 Before application, my skin texture is rather rough, there is a lot of acne marks and blemishes around the cheek. 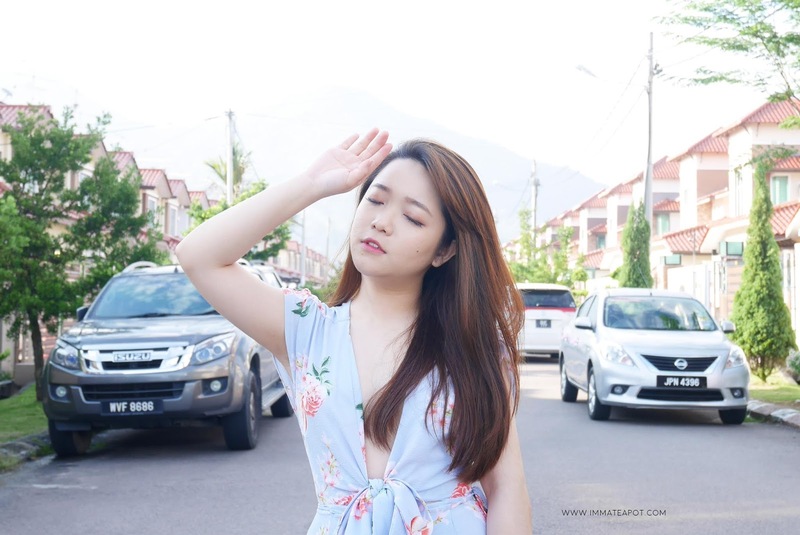 I have severe uneven skin tone and dark circle. After application, my skin tone is even up and overall look so much define with the radiant glow. The coverage is good enough in covering up my acne marks and blemishes, a few more layers needed to fully cover up the dark circle. My skin texture is much smoother and pores are rather blur out. This is how it looks after 6 hours. My skin is pretty oily around the T-zone, yet it's good to blot away with tissues. I am surprise that overall still looks good, without any cracks or cakiness around dry areas. Impressive! 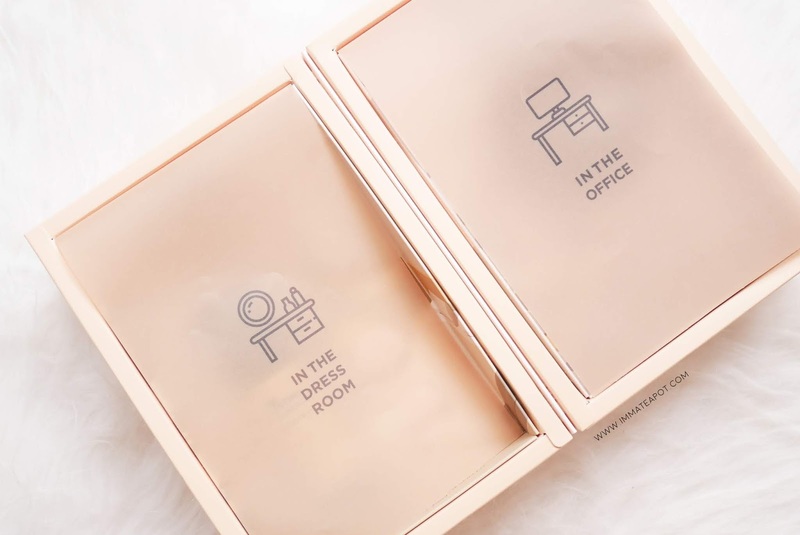 For busy lady who is always in rush, you may just opt for The INK Lasting Foundation Slim Fit To Go, a convenient on-the-go compact that allows you to touch up, anytime anywhere. It comes with a contactless pump, that helps preventing bacterial contamination. The Rubycell puff gives you an airbrush and poreless finish! I will definitely have this in my bag during travel! Life-saver - compact foundation! I love how the Ink Lasting Foundation works on my skin and it has now become my favorite foundation. For long hour test, I used it during my cousin's wedding last Saturday, from 3am early in the morning till 5pm, running from one venue to another, dressing up the bride, doing her makeup and all. The foundation was just so surprisingly amazing! It stayed throughout the day, without the need of touching up, just some blotting action to blot away the facial oil. It doesn't crack much even though my skin is super dry. Some tips for y'all, you may just wet your puff with face mist during the application of foundation, it will fit into the skin better and more adherence. the colors is nice. And i am a big fans of FaceShop product as their product comes simply creative and beautiful. Looks like it gives you full coverage. Its a good buy! Cool, I can see the full coverage result in your skin and bet many sure love it especially those always have to stay orders and meet clients. Tsum Tsum fever is never ending!